← Voices in the wind — Accept or reject wind turbines? Whether it’s a summer festival that can’t be beat, a restaurant that’s the envy of surrounding states or a unique tradition that residents embrace and love, half the fun of living in a community is taking whatever it is that community does well and running with it. Holland is a small midwestern town with deep Dutch roots situated in southwest Michigan. Nicknamed The Tulip City due to an estimated 5 million tulips planted across town, residents and city officials alike embrace the nickname and have even branded a festival in its honor. 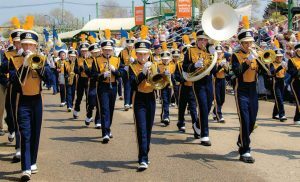 Today’s Tulip Time Festival is a massive ordeal that draws crowds of more than half a million — the nine-day event features authentic Dutch food, a Dutch market with handmade crafts and goods, more than 50 Dutch dance performances with more than 700 dancers in authentic garb and a variety of local attractions. Although the festival’s namesake is for the popular flower, the impact of Dutch culture as a whole is apparent throughout the city. 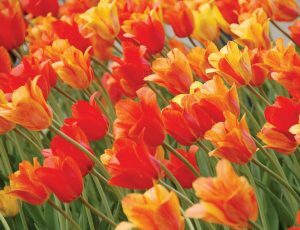 Tulips are not to be forgotten, however. “We’re very famous for tulips, and that’s something we take great pride in. Holland has won awards year after year for how beautiful and well-maintained our gardens are, and that takes work yearround,” Zalnis said. Meanwhile, across Lake Michigan, nobody knows year-round work like the farmers of Viroqua, Wis. Th e town is tiny — the population as of the 2010 census is just over 4,000 — but what they’re cooking up has made a huge wave in the food industry. Vernon County — home of Viroqua — has one of the highest concentrations of organic family farms in the nation. 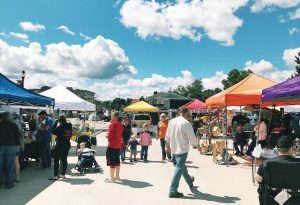 Viroqua itself has one of the largest farmer’s markets in the state, with more than 60 seasonal vendors and a packed house every weekend. Numerous eateries in the town tout national awards, and the products produced on locally owned and operated farms are sought after across the nation. 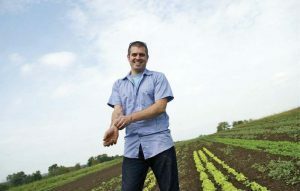 “We have a number of award-winning organizations and businesses, and they exist because Viroqua is a community that values farmer-supported business and high-quality, local products that are traded fairly,” Roughen-Schmidt said. As time has gone on and the desire for organic, farm fresh foods has swept the nation, Viroqua’s prevalence in the food industry has grown tremendously. One of the town’s most popular eateries — the Driftless Café — brought great notoriety to the area after being nominated for a prestigious James Beard Foundation award. So, how did they do it? How does a town carve a niche for itself and capitalize off of that?